We know that purchasing a home is a big investment and that it is important that you know what you are buying. When you entrust Plains to Lakes Home Inspections, LLC to inspect a home you are thinking about purchasing, we want to do a great job of taking care of you. We are registered in both the States of Minnesota or North Dakota to complete home inspections. Located in Detroit Lakes, we are very close to the Fargo-Moorhead area and are available to conduct those inspections for you. Please don't hesitate to call us or contact us to get your Minnesota or North Dakota home inspection. As a member of the National Association of Certified Home Inspectors (NACHI), you can be assured that Plains to Lakes Home Inspections, LLC is not only completely qualified to inspect your home, but we also adhere to the association’s standards of practice and code of ethics. You can find more information about NACHI at their website,www.nachi.org. 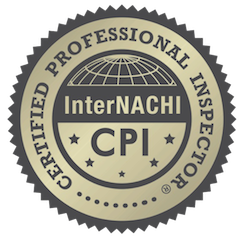 As a Certified Professional Inspector we are required to maintain yearly continuing education to maintain our certification. This helps to make sure we are aware and capable of handling any new issues or changes to code etc. which helps us do a more thorough home inspection. Learn more about this at nachi.org/agent-indemnification. We are proud to be a Veteran Owned company. We bring a background of service to everything we do and work hard to take care of you and your needs.